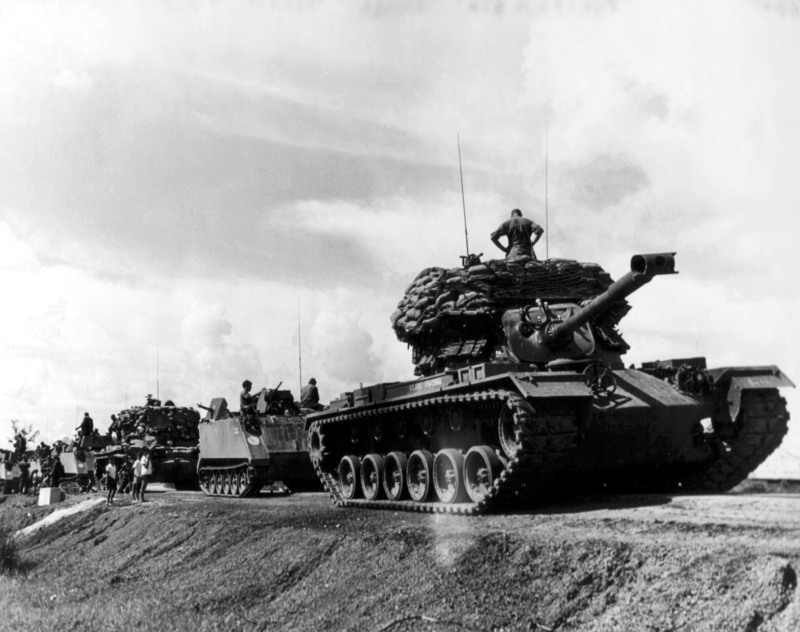 US tank convoy during the Vietnam War. Photo by Starry, Donn A. Mounted combat in Vietnam. United States Army.